The makers of the Dutch company LIPS have a wide range of locks and door fittings. They think along by developing innovative products that make your home safe, give you an escape route in emergency situations, and provide solutions in care homes. Blacksmith Jacobus Lips started in 1871 the company LIPS. In the first instance, he mainly fabricated stoves in his own smithy. Later, safes and building hardware were added to this list. The factory of the company was established in Dordrecht. Although the factory is nowadays located in Raamsdonkveer, the LIPS museum in Dordrecht still reminds people of this special place. At the beginning of the 20th century, LIPS was one of the first factories that started making locks. The brand grows out to be a household name in (electro) mechanic locks and locking systems. In 2000, LIPS got taken over by the Swedish company ASSA ABLOY. 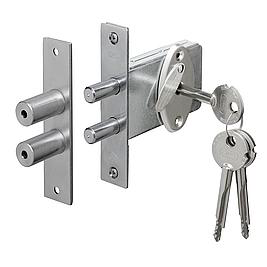 This party is specialist when it comes to locking and unlocking of doors in utility building and housing. With the arrival of LILPS in her assortment, ASSA ABLOY has all it takes to realise the perfect security solutions for your home. One of the other company names that are taken over by ASSA ABLOY is Nemef.